We all take sleep for granted until we have problems with it and then we quickly remember how desirable a good night’s sleep is. All human abilities (like paying attention, memory recall and learning) are made worse by poor sleep and there is an intimate relationship between sleep and many psychological conditions such as depression and anxiety. It can seem surprising that human beings, who can be so full of life, energy, plans and activities, can, at a certain point each day, disengage from life, lie down and apparently become oblivious to the outside world for up to eight hours. (We spend up to one-third of our life asleep.) When we sleep we are vulnerable to attack since we are no longer aware of what is going on and are in no position to defend ourselves. Yet all mammals, birds and even cold-blooded reptiles sleep so there must be good reasons for it. Research has shown that there are two very distinct kinds of sleep: REM (rapid eye movement sleep when we dream) and non-REM sleep, also called slow wave sleep (SWS). Slow wave sleep is the dynamic, constructive time of physical healing and growth for animal organisms, a recuperative stage where the mind/body system rebuilds itself after a hard day surviving in the world. Substances ingested during the awake period are synthesised into the complex proteins of living tissue; growth hormones are secreted to assist with the healing of muscles and repairing general wear and tear in tissues; the immune system is boosted. It is important to know that poor sleep may be a side effect of medication or be related to a physical condition. We also tend to have more difficulties with sleep as we age and the hot flushes of menopause can cause severe sleep disruption. In elderly people, REM sleep decreases to about twenty per cent of sleep time and the time spent in deep sleep shortens. They often catnap during the day because they don’t get such good quality sleep during the night. 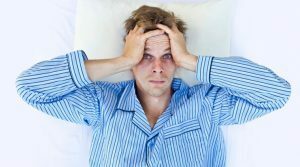 You can gauge if you are getting too much or too little sleep by how you feel when you wake up. The familiar feeling of physical tiredness from being very busy or working hard is quite different to the mental exhaustion you feel when you wake after spending too much time in the REM state. A useful fact to know about waking up is that a few minutes after we physically get out of bed and start moving around, a burst of cortisol (a stress hormone) is released in the brain. This release of cortisol happens to give you the effort to get some food to eat and thereby replenish glucose supplies. So if you’re lying in bed feeling miserable and tired and need to sleep more, try getting up, walking around, making a cup of tea and a slice of toast and then see if you feel you need more sleep. 1. Use of the internet and computers have been shown to significantly alter levels and quality of REM in subsequent sleep, so switch off your computer a couple of hours before you go to bed. 2. If you don’t sleep after 30 minutes of trying, get out of bed and do a very boring task that doesn’t reward or stimulate the brain (ironing, cleaning the floor, reading a very dull book). This will ensure that you don’t condition yourself to lie awake in bed. Keep the lights dim while you do the task. 3. Try herbal sleeping remedies like camomile and lavender. 4. Anxiety about how much sleep you are getting can be counter-productive and keep you awake. Lower anxiety by learning to trust that your body and mind will sleep enough for your needs. For more information on anxiety, click here. 5. 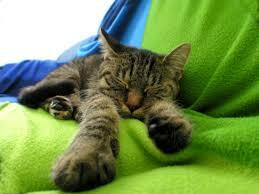 Stay awake all day – no catnapping! 8. Avoid alcohol – it might seem like a good idea to drink alcohol to help you get to sleep but alcohol significantly disrupts the sequence, depth and duration of sleep states. Once the alcohol metabolises in your body, the imbalance is likely to wake you up. This is why, when you have drunk a lot of alcohol, you may find yourself waking up very early in the morning. 9. Try a light snack before bed. Warm milk and foods high in the amino acid tryptophan, such as bananas, may help you to sleep. Avoid caffeine in the hours leading up to bedtime. 10. Practice relaxation techniques before bed. Yoga, deep breathing and other techniques may help relieve anxiety and reduce muscle tension. For more information on mindfulness, click here. 11. Don’t take your worries to bed. Leave your worries about job, school, daily life, etc., behind when you go to bed. Some people find it useful to assign a “worry period” during the evening or late afternoon to deal with these issues. 12. Establish a pre-sleep ritual. Pre-sleep rituals, such as a warm bath or a few minutes of reading, can help you sleep. for more information on my counselling services, go to my counselling Cork and counselling Douglas pages. If you are struggling to get a good night’s sleep, don’t suffer any longer! Call Alison Winfield, Mindfully Well Counselling Cork on 087 9934541.